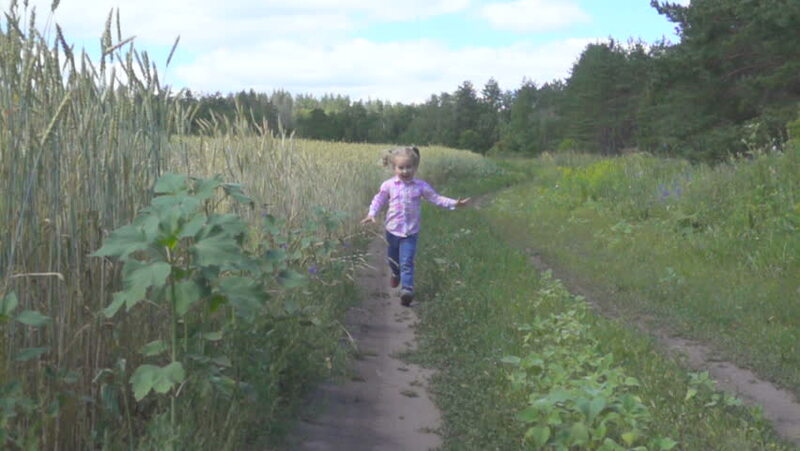 Little girl running on a rural road near the wheat field and smiling. toward the camera . Wide shot.Slow motion. hd00:10STIRNIAI, LITHUANIA - JUNE 23, 2018: Children have fun in midsummer day holiday. Kids climb on hill between meadow. Traditional annual pagan fest. hd00:09PARIS, ONTARIO, CANADA - AUGUST 2012: Fishermen out on the river.